circumcision services, and facilitated HIV prevention interventions in community settings. ICAP employs competent, dynamic individuals with strong technical knowledge and public health management skills in implementing the program objectives. ICAP is now seeking to fill the below positions for the FIKIA project. The incumbent will be responsible to provide technical assistance to the community-based HIV testing and counseling (CBHTC) portfolio of the FIKIA project in all regions (Mwanza, Kagera, Geita, Simiyu, Dar es Salaam, Pwani, Tanga, Kigoma, and Mara).S/he will work closely with the technical advisor – CBHS in Dar es Salaam to create innovative strategies to ensure achievement of UNAIDS 90-90-90 goals in the HIV cascade for targeted populations. Provide assistance with the planning, implementation, and monitoring of the designed CBHTC program to achieve programmatic targets ensuring services follow national guidelines and standards. Assist with monitoring the uptake of HIV testing and treatment including test-and-treat strategies and identify gaps to improve uptake of diagnosis, treatment initiation and linkage to care among targeted populations. Contribute to the development and implementation of strategies to improve the provision of comprehensive community-based services including opportunistic infection, TB, STI screening, family planning (FP) needs assessment and referrals. Assist technical team to strategize and support regions implement innovative approaches to index testing. Assist the technical team in improving feedback on referrals from health facilities and overall strengthening continuum of care. Assist the technical team to roll out new interventions and demonstration projects, such as Self Testing, maintain local and Columbia IRB approvals and ensure adherence of ethical standards and SOPs. Assist the technical team manages and revise program SOPs, tools and job aids according to PEPFAR guidance, National Standards, and program needs. Contribute to the development of manuscripts, reports, abstracts, and presentations to disseminate the results of program evaluations and demonstration projects. Work with technical team to coordinate and participate in supervision and monitoring visits to program sites. Required: Clinical Degree including MD, MBBS, or Bachelor of Nursing from a recognized academic institution. Preferred: Additional Masters level degree or higher in a related discipline. 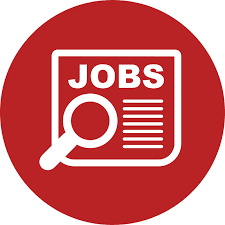 Required: Minimum 2 years’ experience working in a health setting in Tanzania Preferred: experience in fields related to HIV, gender, sexual reproductive health, TB, orphans and vulnerable children, and/or community health. Interested and qualified applicants should send their cover letter and CV via email to icap-jobs-tanzania@columbia.edu. mentioning in the subject line the Position Title and Job Location. Please do NOT attach any certificates when submitting online.